GroupM, the leading global media management investment company, won Silver at the HR Excellence Awards 2017, for their India team’s initiatives to drive work-life balance. As the world’s largest media investment group, GroupM has consistently maintained its commitment to creating a workplace environment focused on its employees’ holistic wellbeing. This award is a culmination of all the efforts by each employee at GroupM India, spearheaded by the India Talent Team. Winners of the HR Excellence Awards set the benchmark for the HR industry and are recognised as the top performers across Asia Pacific. 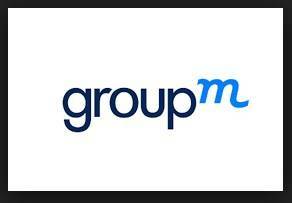 GroupM India is deeply invested in hiring, nurturing, and maintaining a high-calibre talent pool. This entails keeping a close eye on employee retention rate, which at GroupM India is far higher than the industry benchmark. Over the last few years, GroupM India has created a standard of excellence in terms of several tangible and intangible employee benefits. For example, in 2015 the mAdvantage programme was created, which has since rolled out several initiatives designed around employee healthcare and holistic wellness. The company also rolled out a flexible timing policy, including work-from-home that is allowing employees to manage career and their lives. To empower employees with the opportunity to enjoy a better work-life balance, GroupM India has leveraged both its regional and global understanding of best practices, besides devising new ideas in the Indian market considering the unique ecosystem. The GroupM India YCO project, which was instituted in 2013, has now been exported to several GroupM markets around the globe. In addition, communication pipelines have been created to hear from the best experts there are, GroupM employees themselves. The HR Excellence Awards is one of Asia’s largest award shows dedicated to celebrating the achievements within HR profession. Since it’s inauguration in 2013, the awards have celebrated organisations in Asia that strive for excellence and outstanding human capital strategy and execution. Winning at the HR Excellence Awards is both an affirmation of the exceptional quality of your work in the industry and among peers as well as a significant tool for celebrating the breadth of in-house talent.